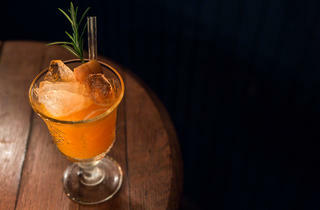 Cocktails are king at this ‘bartender’s bar’, an established stop-off on the Dalston/Stokey strip. If this is High Water, where’s hell? The Kingsland Road-to-Stoke Newington strip, with its cavorting imps, rivers of piss, and mounting flames (all the Turkish grills), might well be for some. It’s become London’s go-to area for hedonistic clubbing. But apart from one or two isolated outposts, those in search of a classier night out were not so well served. 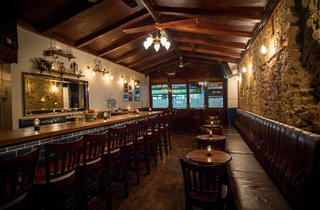 Now, joining the Original Sin and Ruby’s, is this cocktail bar surrounded by traditional mangals and trendy nightspots. Some in London are beginning to describe it as a ‘bartender’s bar’, meaning not just a place where off-duty service staff drink, but somewhere the industry approves of due to the particular sophistication of what its serves. It had a very low-key opening late in 2014 but is now an established stop-off on the Dalston/Stokey strip. It’s the sort of experience that’s probably best with the lights low. 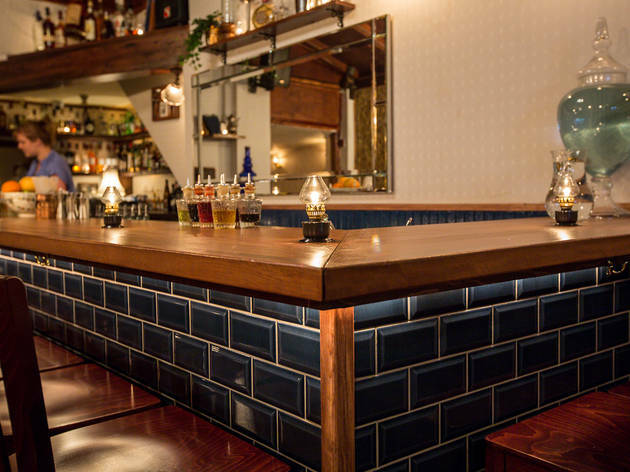 High Water is definitely not a multimillion-pound West End eating and drinking concept, and that’s no bad thing: there’s a fake chalet ceiling and wood that has the same shade of brown as a 70s demi-glace sauce. What it probably means is that it’s been opened by young people who are more passionate about what goes in the glasses than what’s on the walls. Cocktails are king here. The seasonally changing menu lists seemingly simple drinks with just a few ingredients, but they're all superbly made and sophisticated. And at £9.50 they're decent value; so too are the half-sized 'miniature serves' for weeknights (or as a chaser). A few choice house-made ingredients show a dedication to detail (pecan syrup, say, or quince sherbet). Full marks all round. Wade in the water. Stuning place, very good selection of with everything specially whiskies. They know what they are doing. Very friendly staff amazing table service, fantastic recommendations, speak easy, classic American style cocktail bar. I strongly recommended this place. It is very nice neighborhood bar. 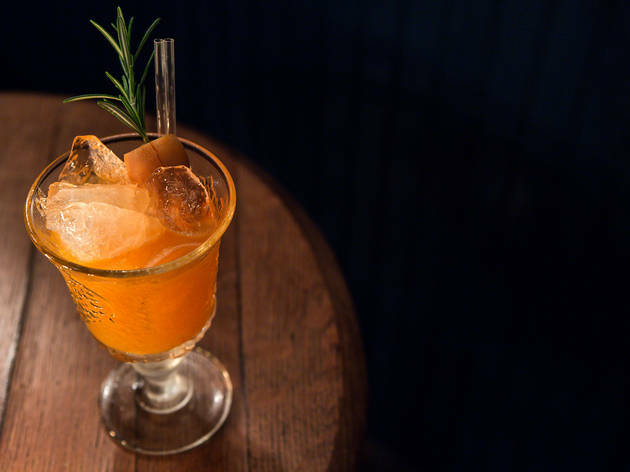 Best cocktail in Dalston. Fact. Great staff, excellent service and great range of choice on drinks, including cocktails. I love it! Great cocktails and superb atmosphere. Open late. Love the place, I'm there all the time. I could practically live in! One drink is never enough at High Water, much to my dismay the morning after when I take a peek at my bank balance. The bartenders are knowledgeable and take pride in what they do, going out of their way to make sure you have a good time, and most importantly, a very good drink. Brilliant cocktail bar, with very high quality drinks made by attentive staff. Nothing not to like, if passing definatley pop in as you will not be disappointed. It is an awesome cocktail bar. I have been there couple of times and i did enjoy all my visits. 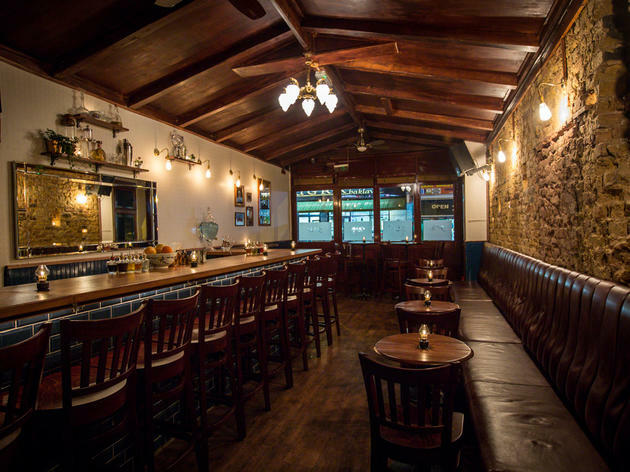 Great atmosphere, amazing cocktails and very knowledgable bartenders. They do all the classics and they have a great menu as well. I would definitely recommend this place if you are looking for a decent night out with some great drinks. A Gem in the heart of London, Great Cocktails, friendly knowledgeable staff, fantastic ambiance. It's a must! This bar is a great find in Dalston. If you like cocktails (and I do!) these are some of the best I've had in London. Knowledgeable and friendly bar staff, a great cocktail menu (although they'll make you anything you like) and really reasonable prices. Also the decor and atmosphere are spot-on. Love this place! Top quality bar in the centre of Dalston serving amazing cocktails! Ambience is nice and relaxed. 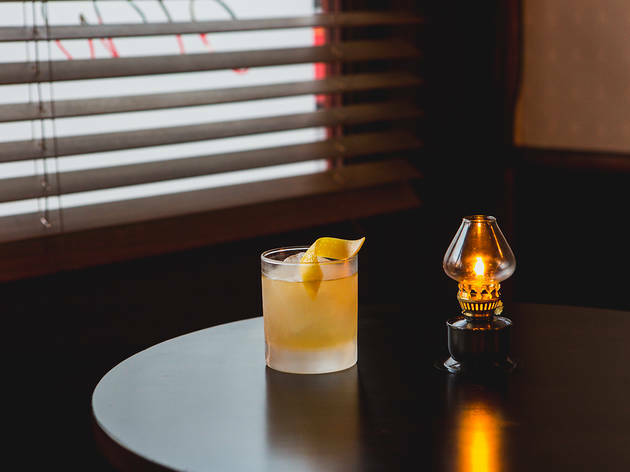 Bartenders are always happy to accommodate customers, giving recommendations and serving all the classic cocktails (both on and off the menu). Fantastic cocktails, fantastic staff and great ambience, the place to be to get you cocktails, also have good selection of wine and beers. Great cocktails, music, and atmosphere on a Saturday night. Would definitely recommend this place if in Dalston. Small but good selection of wines and beers as well a yummy cocktail list. From walking past the unassuming exterior you would have no idea what an absolute gem this place is. The cocktails are excellent value for money as you can tell they have been made with care and quality ingredients. The knowledgable bar staff are friendly and keen to chat. Great date spot. Such a cool spot for a cocktail ... they make great drinks and have great knowledge. 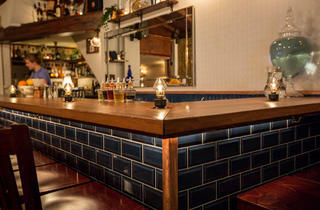 Pull up a stool at the bar and let them entertain you into the wee hours! dark and cozy atmosphere. Extremely good and knowledgeable bartenders- all of them!! 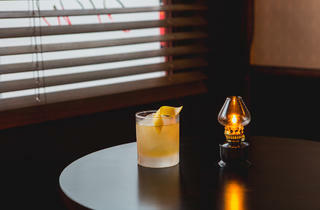 Ask for a "last word" as a nightcap ;) you won't regret it!